As health and fitness becomes more prevalent, people are realising the vast number of components to a healthy lifestyle. 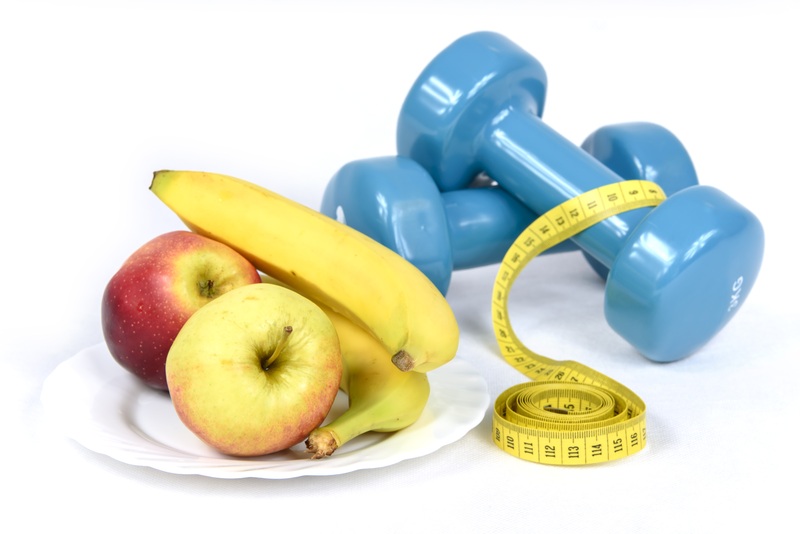 Most people currently understand the importance of exercise and healthy eating, which is a good start. However, how much do you know about the differences between overweight and obesity, as well as the term ‘body composition’? There is currently confusion surrounding the precise meaning of the terms ‘overweight’ or ‘obesity’ when it is applied to weight and body composition. According to McArdle et al. (2015) the overweight condition refers to “a body weight that exceeds the average weight for stature and age, with it often accompanied by an increase in body fat”. In contrast, obesity refers to an “over fat condition that accompanies a constellation of comorbidities such as Type II diabetes, high blood pressure and increased risk of heart disease and cancer”. Whilst neither of the conditions are good, there are clear differences in severity and complications between the two. A BMI of >18.5 (Kg/m2) indicates the underweight category. A BMI of 18.5-24.9 (Kg/m2) classifies the healthy range. A BMI of 25-30 (Kg/m2) represents the overweight category. A BMI of >30 (Kg/m2) places you into the obesity range. As most people have a fairly good understanding of BMI, it is certainly a good start when attempting to classify health from an individuals weight, however it has numerous limitations. The primary issue with BMI is that it doesn’t differentiate between body fat and lean muscle mass (Reaburn et al. 2011), therefore leading to an overprediction in athletic populations. For this reason, methods to assess overall body composition are widely used by sport scientists and health professionals. The term “Body Composition” stands for the components that make up the human body. Therefore, body composition techniques are a much more accurate evaluation of the body than simply weight or BMI. They reveal the relative proportion of fat and lean mass in the body (ACSM, 2016) and therefore can be used to assess training or effectiveness of nutritional intervention (Reaburn et al. 2011). It is often considered that body fat is ‘negative’ and therefore people attempt to lower it as much as possible. However, body fat exists in two forms within the human body: essential fat and storage fat. Contrast to popular belief, normal physiological function requires this essential fat which consists of the fat within visceral organs (McArdle et al. 2015). This is a popular technique which is non-invasive and cheap, making it ideal for use in a clinical setting (Davies, 1993). Electrodes are placed in certain positions on the hand and foot (Graves et al. 2006) with an electrical current then passed through the body. The technique is based off the concept that fat-free tissue is more conductive than fat tissue due to its greater water content (70% vs. 14-22%), therefore there will be greater impedance with an increase in body fat (Reaburn et al. 2011). The major limitation of BIA however is that it is strongly influenced by hydration status, with it currently understood that dehydration leads to an underestimate of true percentage body fat (Saunders et al. 1988). This is another popular method among sport scientists and health professionals, which measures subcutaneous fat (immediately beneath skin) at selected ‘landmarks’ to predict body fat (Davies, 1993). The landmarks are identifiable skeletal points which lie close to the body’s surface and are found by a process known as manual palpation (Reaburn et al. 2011). The technique involves pinching the skin and applying the calipers at the skinfold site, with measurements for amount of fat taken (McArdle et al. 2015). The composite value for the sum of the various skinfold sites are then used in prediction equations in order to estimate percentage body fat. This technique is considered as the ‘gold standard’ for assessing body composition, however it is not suited in certain populations (Fields et al. 2000). The process involves a subject being weighed in air, followed by being fully submerged in a tank and then weighed underwater whilst exhaling maximally (Biaggi et al. 1999). It is based off Archimedes principle that when a body is submerged in water it is buoyed up by a force equal to the weight of the volume of water displaced (Reaburn et al. 2011). In simple terms, by working out this volume displaced, you are able to calculate body density, which can then be converted to percentage body fat using prediction equations. This is a relatively new technique based on the two-component model where the subject sits inside a small chamber called a BOD POD (Reaburn et al. 2011). Similarly to hydrostatic weighing, it estimates percentage body fat from body density – however it doesn’t involve getting wet! The BOD POD measures the initial volume of the empty chamber and then the volume of the filled chamber, with the difference the subjects body volume (McArdle et al. 2015). Body density is calculated by dividing body mass by body volume, with the Siri equation then used to convert to percentage body fat (Bentzur et al. 2008). A common question when comparing the various body composition techniques is, ‘which is best?’ This is a difficult question, which comes down to two factors: how practical and how accurate. 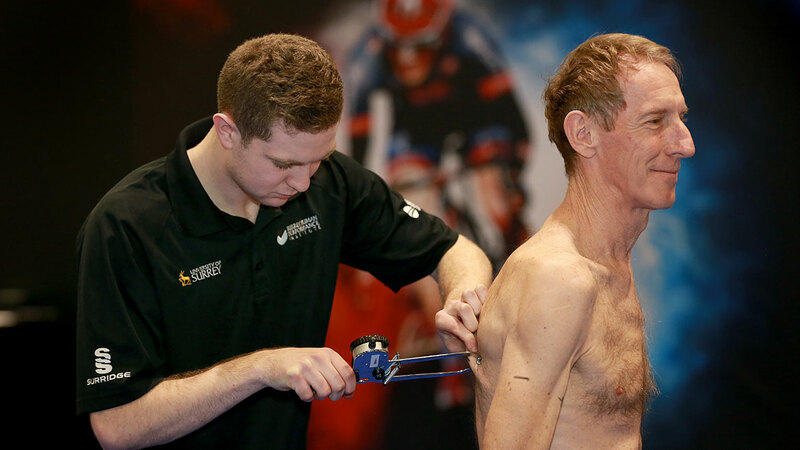 For testing in a sport science environment, skinfolds and bioelectrical impedance analysis provide the most time efficient and simple methods for mass assessment. However, if the resources are available then hydrostatic weighing and air displacement plethysmography definitely provide a more accurate assessment. Most sport science or health based labs, such as us at Surrey Human Performance Institute, provide body composition assessment in some description. If you are planning on completing a period of training or trying to improve your health, why not get a baseline value for your body composition, which can then be compared with a later measurement. This way you can assess the effectiveness of any exercise or nutritional based interventions and feel positive about your body! At Surrey Human Performance Institute we currently offer body composition assessment testing consisting of skinfolds and bioelectrical impedance analysis, starting from £40. For more information or to book into a session, please get in contact! McArdle, W.D., Katch, F.I. and Katch, V.L. (2015). Exercise Physiology: Nutrition, Energy and Human Performance. Exercise Physiology: Nutrition, Energy, and Human Performance, 8th Edition, Wolters Kluwer Health, Lippincott Williams & Wilkins, p.731-763. World Health organisation (WHO), (2016). Obesity and Overweight, http://www.who.int/mediacentre/factsheets/fs311/en/, last accessed 24.9.17. Reaburn, P., Dascombe, B. and Reed, B. (2011). Practical Skills in Sport and Exercise Science, 1st Edition, Pearson Education Limited, Hampshire, UK, p.242-263. American College of Sports Medicine (ACSM), (2016). Measuring and Evaluating Body Composition, http://www.acsm.org/public-information/articles/2016/10/07/measuring-and-evaluating-body-composition, last accessed 24.9.17. Going, S.B., (1996). Densitometry. Human Body Composition; Roche, A.F., Heymsfield, S.B., Lohman, T.G., Eds. ; Human Kinetics: Champaign, IL, USA, p.3–23. Davies, P.S., (1993). Body composition assessment. Archives of disease in childhood, 69(3), p.337. Graves, J.E., Kanaley, J.A., Garzarella, L. and Pollock, M.L., (2006). Anthropometry and body composition measurement. Physiological Assessment of Human Fitness.–Second Edition PJ Mand, C. Foster–Champaign, IL. : Human Kinetics, p.211. Saunders, M.J., Blevins, J.E. and Broeder, C.E., 1998. Effects of hydration changes on bioelectrical impedance in endurance trained individuals. Medicine and science in sports and exercise, 30(6), p.885-892. Fields, D.A., Hunter, G.R. and Goran, M.I., 2000. Validation of the BOD POD with hydrostatic weighing: influence of body clothing. International journal of obesity, 24(2), p.200. Biaggi, R.R., Vollman, M.W., Nies, M.A., Brener, C.E., Flakoll, P.J., Levenhagen, D.K., Sun, M., Karabulut, Z. and Chen, K.Y., (1999). Comparison of air-displacement plethysmography with hydrostatic weighing and bioelectrical impedance analysis for the assessment of body composition in healthy adults. The American journal of clinical nutrition, 69(5), p.898-903. Bentzur, K.M., Kravitz, L. and Lockner, D.W., 2008. Evaluation of the BOD POD for estimating percent body fat in collegiate track and field female athletes: a comparison of four methods. The Journal of Strength & Conditioning Research, 22(6), p.1985-1991.